Thanks to Edith Myfist for today's guest recipe! This is a new recipe I just made and it turned out amazing. 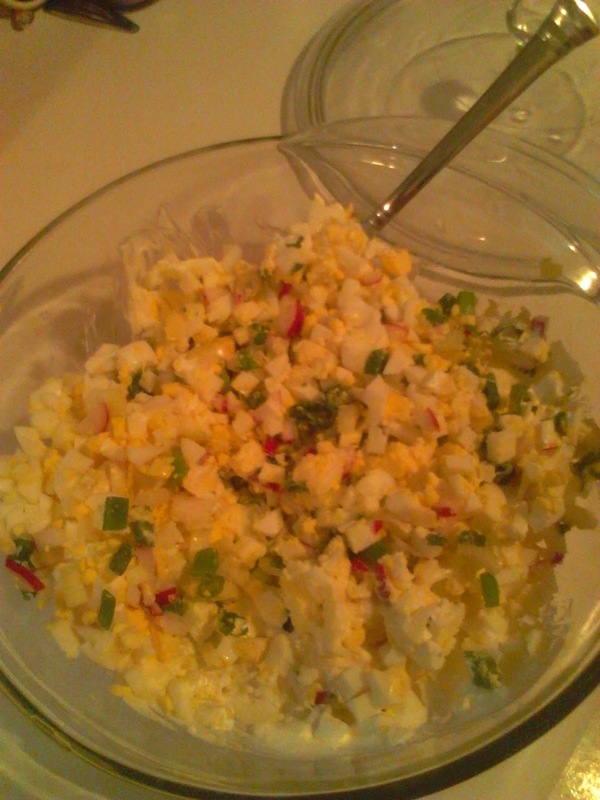 It's RADical because this egg salad calls for RADishes! I have always had a problem with salads in general tasting too mayonnaisey for me to enjoy. I solve this problem in my salads by "cutting" the mayonnaise with some sour cream. I used fresh parsley from my garden in this, and all other ingredients were purchased from the local farmer's market. Enjoy! Combine all the ingredients in a bowl and... voilà! These are enormous radishes from the farmer's market! That lime there is sitting there for comparison. 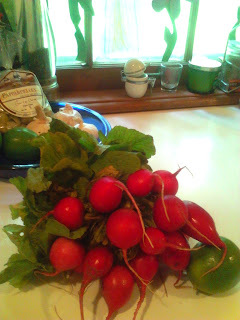 This is the time of year when it's easiest to eat fresh and buy local... So do it!